When you hear someone talk about default gateway, you think it will be enveloped with a complex technical process. However, default gateway is very important for accessing a router’s administration as well as network settings. Yet, it is very simple to find default gateway of a computer. Let us look at the easiest way to find the default gateway of your computer. Those who are using a Windows-based computer can find the Default Gateway in a single step. Just click on Start and type CMD. Or you can press the Windows Key along with ‘R’ and open the Run Menu. Type CMD and click OK. This will bring up a new black window and you need to type ipconfig. Hit Enter and a lot of information will pop up in the window. 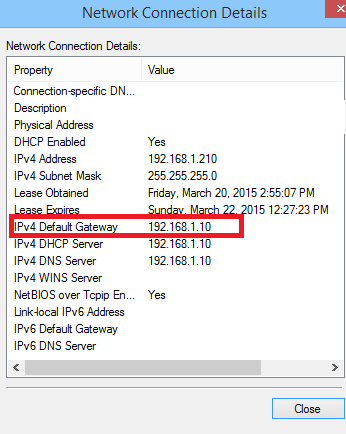 Look for the title Default Gateway and the numbers opposite it is the information you are looking for. Mac users need to click on the Apple icon and click on System Preferences. Now, you need to select Network and find the default gateway written next to Router. 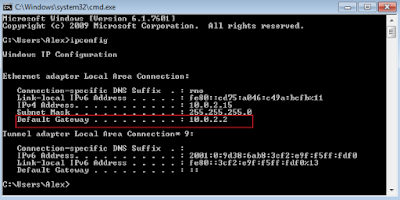 Copy the Default Gateway and type it in any web browser. Hit Enter and a window prompting for the username and password will appear. Enter your routers default username and password and this will lead to opening of the admin page of your router. This is all you need to do to find the default gateway of your computer.